It’s hard to predict in advance who you will need to share PHI-containing documents with. 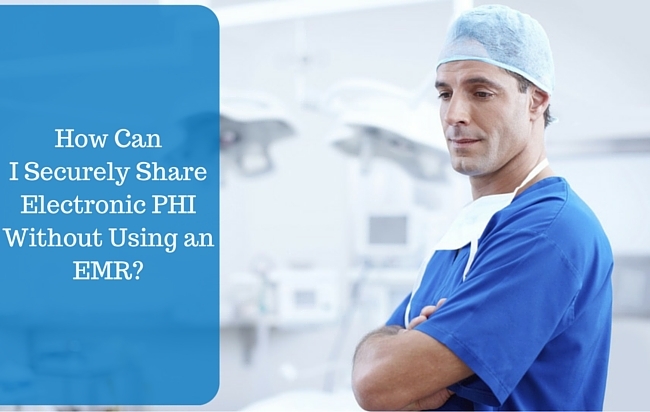 Such sharing of PHI with a recipient might happen infrequently. You might only need to share documents with a particular recipient one time. This typically results in an inability to use a practice EMR or Portal. Yet the sharing has to be timely, electronic, and secure. The My Docs Online Secure Share feature is often used for just this purpose. Upload one or more documents, Share them, and send the secure link via email. It is secure and HIPAA-compliant. The audit trail for each Share records when the recipient took delivery of the documents. The Internet Protocol (IP) address of those downloading each document is also included. For more information on the specifics of the HIPAA Security Rule see the “what information is protected” section of this Department of Health and Human Services summary.